The titles of the pictures were carefully considered and contain three pieces of information. The first number is a Google code that contains geographical (possibly GPS) coordinates, but has been modified by Rickard so as to not disclose the exact Street View location. Second, is the name of the city and state. Lastly are two dates. The first date refers to the year the photograph was taken by Google Street View, the second date refers to the year that Doug Rickard made his picture. The overall title is meant to resemble an American street address and tie into location without specificity. Doug Rickard, the son of a retired preacher, grew up learning about America from a decidedly slanted point of view. His father, a Christian conservative who led a mega-Church in the 80’s, was highly patriotic and proudly part of the “Moral Majority.” He taught his children that America was “the exception to the rest of the world” — that God had anointed our country as “special and unique.” This patriotic but misleading Reagan-era dogma may have been inspiring to most in the congregation, but young Doug, very much a rebel in his youth, had nagging doubts. In spite of his troubled youth, Doug would graduate from high school. He then took a break of five years before attending college. In retrospect he sees the break as crucial and “one of the best things to occur,” as he could not have been “ready to learn” until that older age. 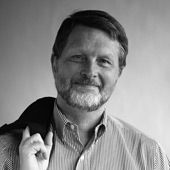 It was through his studies in history and sociology at the University of California, San Diego (History major, graduating in 1994) that Rickard began to compare the greatness of our country with an unsettling truth: that America had a very dark past — a key being the enslavement of Africans to be a workforce for the American South. Deeper studies into the periods of segregation, “Jim Crow” laws, and the Civil Rights movement would impact him greatly. Rickard, an artist as a child (his teachers would exclaim to his parents that he would surely “do something special” with his artistic talent), discovered photography in adulthood — a discovery that would become an obsession. He began to codify this obsession in early 2008, when he created the now highly popular websites American Suburb X and These Americans. These sites, largely extensions of his personal journey, obsessions and self-education, are now highly regarded by photography aficionados, educators and historians for their high quality of writing and massive visual archives. ASX receives approximately 80,000 unique visitors a month and is “Liked” by 38,000 Facebook “fans.” These Americans is known in part for being a view into Rickard’s personal found-image archive. With such a strong interest in history, Rickard was used to looking at the past. But for these new web projects he turned his attention to the present, exploring the statistics, demographics and socio-economics of contemporary America’s neglected communities. While doing this he began to experiment with ordinary and static images resulting from keyword searches on Google. But by the next year — in mid-2009 — he discovered Google Street View. In a telephone interview that lasted well over an hour, the 43-year-old-old Rickard told me that the idea for his recent photographic work emerged as a sort of “epiphany” within 24 hours of using Street View. The project was, he explained, the result of a sort of “perfect storm,” in that it combined his love of photography and its history with his background in American history and sociology. Also, practicality was a component in the form of his inability to travel America, a restriction of the scenarios in real life — a demanding day job and a young family. According to Rickard, this epiphany fused immediately into a crystal-clear idea: He would use Street View as his camera and, working from a room in his home, travel the roads of neglected American cities and neighborhoods in a 21st-century “road trip.” This single idea would utterly consume his life for close to two years, resulting in the important body of work “A New American Picture,” a selection of which hangs today in the Museum of Modern Art in New York. When Google launched Street View in 2007, it was the company’s intent to map and document every street in the United States. Cars were dispatched into every city to drive every street and back road, using nine directional cameras mounted on the roofs of special cars. These cameras give us 360° movable views at a height of about 8.2 feet. There are also GPS units for positioning and three laser-range scanners designed for measuring up to 50 meters 180° in the front of the vehicle. Rickard analyzed tens or hundreds of thousands of Street Views in his search for perfect pictures, something he describes as containing an “apocalyptic-like brokenness.” Indeed, the height of the camera at 8.2 feet, while creating an aesthetic cohesion and uniformity of vision, adds a distinct feeling of “alienation” that Rickard employs. Unlike the making of street photos in the traditional sense, with Street View there is an oblivious-ness to the camera as it goes about its job with no feeling or emotion. In spite of this anonymity of machine, his images are — perhaps surprisingly — layered with empathy. Rickard has amassed several terabytes of Street View images — nearly 15,000 shots captured, labeled, and stored. From that massive stash, he selected only about 80 images for “A New American Picture,” of which a selection is on view at MoMA. To give you an idea of the voracity of Rickard’s Street View search, he has virtually explored almost every neighborhood in the “broken” portions of Atlanta, New Orleans, Jersey City, Durham, Houston, Watts (in Los Angeles) and Camden. He has also explored, inch by inch, the smaller towns of America with names like Lovington, Waco, Artesia, Dothan and Macon. What he looks for are images that carry what he calls a certain “poetry” of subject matter, color, and story — a story described in part by him as “the inverse of the American Dream.” And if the image isn’t “perfect” according to the elements of Rickard’s demands, it’s a no-go. Everything in the image has to be composed, via the camera motion of Street View, to his very subjective, personal, and exacting standards. Doug Rickard is a modern-day photographer not unlike those who went before him. His imagery can be compared to the banal and mysterious cityscapes of painter Edward Hopper, or the great documentary photographers like Ben Shahn, Robert Frank and Walker Evans, all of whom shone a light on the shadows and made known the “invisible” — the disenfranchised and forgotten communities of America. Just as WPA photographers like Dorothea Lange combed America to document the great American Depression, so has Doug Rickard with his new camera: Google Street View. Edward Hopper Early Sunday Morning. Oil on canvas, 1930. Collection of The Whitney Museum of American Art, New York. Purchased with funds from Gertrude Vanderbilt Whitney. Photography by Stephen Sloman. Ben Shahn Scene in Natchez, Mississippi. October 1935. Silver gelatin print. Walker Evans Group Outside Movie Theater, From Moving Automobile, Macon, Georgia. Silver gelatin print c. 1935. Walker Evans A Street Scene; New York, NY. 61st Street between 1st & 3rd Avenues. Silver gelatin print. 1938. I'm sorry, I don't fully understand what his epiphany was… to appropriate someone else's (albeit automated) photography and call it his own? I find this project interesting to some degree, but am very hesitant to consider it art, let alone MoMA-worthy. A very interesting project, and a relatively detailed piece about Doug Rickard from a personal history point of view. Thank you. The article, however, left me wondering, wanting more details about the aforementioned "epiphany" as well as basics about the work itself. What are the photographs' dimensions? How are they produced? What alterations—if any—does the artist make to the images before printing? The "epiphany" was that these Google Street View images, would be recontextualized as more than images for mapping, but serve as his personal lens. He doesn't just grab the image online, he photographs the image in a darkened room just as it appears on his computer screen. The images can be printed quite large, some up to 40" x 60". There is a painterly and haunting quality about the images after this step. Rickard looks at thousands and thousands of Street View images before making his selection. I can understand people's concerns about appropriation, but this is a road that we have been down before. Marcel Duchamp did it. Claes Oldenburg. Warhol.... on up to Shepard Fairey and Richard Prince. I contend that Rickard brings us a new view of the American landscape, a point of view that is very 21st century but firmly rooted in the past. Beautiful,poignant images I would otherwise not have seen. Why obsess on how they were made or produced. Just look at them & check your feelings. There are, alas, very good reasons to be concerned about how the images were made. Artists, lawyers, and others are wrangling with the problem of how to deal with the copyright issues raised by the web and new technologies. At the same time, as John's comment notes, many artists have & do use another person's work as a base on which to create their own pieces, and the society benefits. One difficult question is whether the second work is more than a simple copy of the first one and qualifies as a new work of art. And even if the second one is very clearly different from the first, it may still violate the copyright of the first artist. There is an interesting discussion of the first question here: http://www.wired.com/culture/lifestyle/news/2001/05/43902. This case involves the subway photographs of Walker Evans, and is a pretty convoluted situation because the artist who photographed Evan's work then had a show of her photos at the Metropolitan Museum. The Evans estate sued her and got control of her photos; later the Estate gave the copyrights to Evan's work and the photos of his photos to the museum with the restriction that none of the photos of Evans photos could be published or displayed again. A couple of sites linked to the Wired article are a third artist's way of commenting on the question of whether the photos of Evan's photos were new works of art. The question of whether an artist who starts with another artist's work and makes a clearly different piece has violated the first artist's copyright is at issue in a case that may very well reach the Supreme Court. See: http://www.nytimes.com/2012/01/01/arts/design/richard-prince-lawsuit-focuses-on-limits-of-appropriation.html?scp=1&sq=%22fair%20use%22%20art%20Price&st=cse. I think it would be a big help for everyone if the Court were to clarify the law on this. As an artist & writer who happens to also be a lawyer, I know that when I make decisions about my art & writing, those decisions are affected by the applicable law. Moreover, I've met many artists & writers who make artistic choices that take the law into account, even when they have a very poor understanding of the law. This thwarts the purpose of the copyright law, which is to promote the creation and spread of new ideas. John, please forgive me for making such a long comment. It troubles me that so much is going on in the world of intellectual property law, yet so many of the artists & writers I know seem to have little understanding of legal changes that are very important to them, both economically and artistically. Very Interesting and beautiful work. Using the same "camera" but a with a different approach (a journalistic approach), Michael Wolff received honorable mention on World Press Photo 2011. I guess it is in the eye of the beholder. "I may not know art, but I know what I like." ........ and I like Rickard's images! Robert Frank wannabe, Walker Evans wannabe..Just because he looked at thousand of pictures, means nothing. Just because he photographed the monitor in a dark room, means nothing..you can shoot the monitor with dim light and get fine results...having the text back up the work, means nothing, that the images were at MoMa means nothing..I mean, have you seen the 2012 New Photography show? It was way worse than last year. That he can not talk to me about the experience of the environment and the people he encountered, mean everything. Let's get something clear. This is not documentary photography, not photojournalism. What it is, is an idea, and currently what matters above all is the idea and the process. Think about it. If he would go to those places and actually take those pictures, he would have no chance being at MoMa, or your local gallery for that matter. Like many have said "we have seen those images before". The reason we are seeing them again if because they are shot by Google. I want to smell the place, feel the place, but above all I want to hear the photographer's story, and in this case, he has none! Sure this was an interesting concept but its blasphemous to call it documentary, like many did.